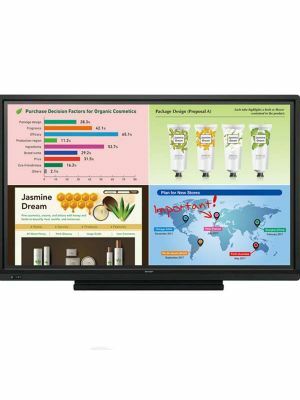 Newline TRUTOUCH 700 HD Interactive Touchscreen Display is one of the most innovative and comprehensive products in collaborative communication markets. It is designed to enable collaborators to work at their full potential, ensuring high productivity rates. Newline TRUTOUCH 700 HD features a large 70” touchscreen display that is a great platform to work on. It has 1080p HD resolution and 4000:1 contrast ratio, both of which guarantee a breathtaking display quality. To support multi-user activity, it comes with 10 point multi-touch capability and remarkable touch sensing technology. 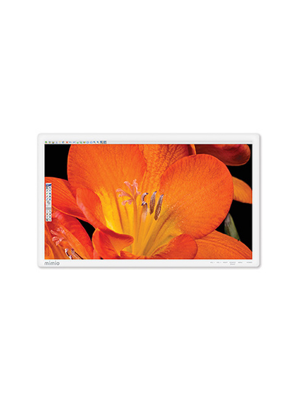 TRUTOUCH 700 HD Interactive Touchscreen Display features an amazing user interface. Built to be as simple to use as possible, it takes users no time to get to know it and intuitively access the various tools and options. The built-in Android system it comes with allows remote devices to be safely connected to the touchscreen, granting them access to the display. Moreover, the OPS port enables the display to be controlled via computers and laptops, furthering its usability in different situations. TRUTOUCH 700 HD is definitely a world class communication product. 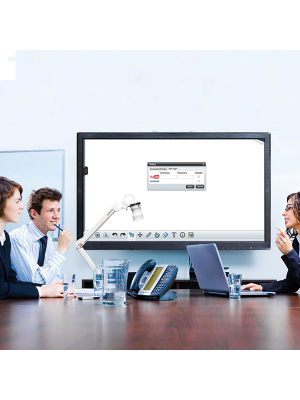 Its features allow it to be used in virtually every environment, like classrooms, conference halls, and meeting rooms. For this reason, it is a must-buy for professionals who thrive on collaboration with like minded people.